↑ Iskandar Mirza, Ayub Khan, and October 1958, by Syed Badrul Ahsan, The New Age, Bangladesh, 30 October 2005. ↑ Story of Pakistan Press. "Teething Years: Iskander Mirza". Story of Pakistan (Part-I). Retrieved 1 February 2012. ↑ "BANGABHABAN - The President House of Bangladesh". bangabhaban.gov.bd. Retrieved 2016-11-16. ↑ "Ellis, Sir Thomas Hobart - Banglapedia". en.banglapedia.org. Retrieved 2016-11-16. ↑ Story of Pakistan. 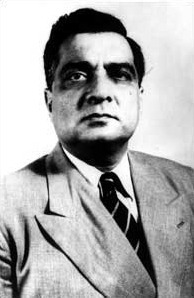 "Iskander Mirza Becomes President ". Story of Pakistan. Story of Pakistan (Mirza Becomes President). Retrieved 2 February 2012. ↑ Story of Pakistan. "Martial Law". Story of Pakistan (Martial Law). Retrieved 2 February 2012.